Academy Award winning actor J.K. Simmons already has experience playing one supporting comic book character, having appeared in all three of Sam Raimi’s Spider-Man films as the ever-irascible J.J. Jameson, and next year we’ll see him bring another iconic figure to life when he steps into the role of Commissioner James Gordon for Zack Snyder’s currently shooting Justice League. Though Simmons has already spoken briefly about the part, in a new interview with ET he gives us a better idea of what we can expect when he dons the mustache and glasses. Turns out his first appearance as Gordon won’t be a very substantial one, but he hopes to get a lot more to do in future DCEU installments. If you look at the history of the character, In the comics, he’s a pretty tough guy. He’s not just this sort of comic relief, he’s not just anything, he’s a part of that universe. And in the first film that we’re currently shooting [Justice League], my part is not as big as, knock wood, it will be in some of the future films, the Batman film, you never know for sure what’s going to be made, what’s not going to be made, but the plan is, Plan A, if that indeed comes to fruition, is that there will be more Commissioner Gordon in the future. 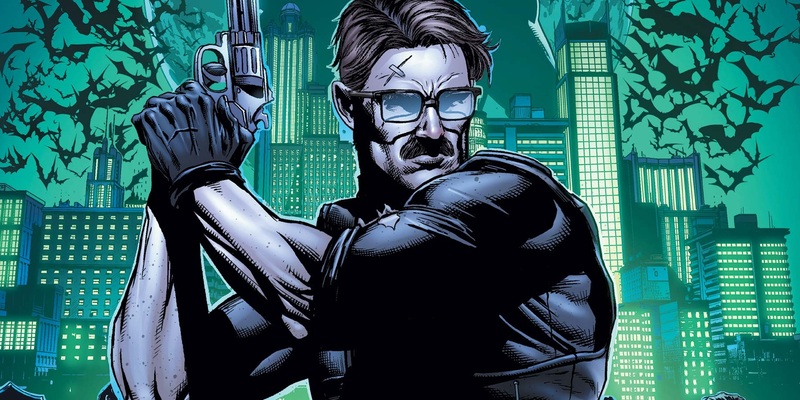 And I have absolutely no idea, zero idea, but I’m lobbying right now: let Commissioner Gordon be a badass. Though he doesn’t specify, it’s a safe bet Simmons is talking about Ben Affleck’s solo Batman movie, which has actually yet to be officially announced. Justice League, meanwhile, hits theaters on November 17, 2017.